Tosa Maidan in India-administered Kashmir cleared of shells used by army in drills, but victims await compensation. Budgam, India-administered Kashmir - The Tosa Maidan meadows, long used as a firing range by the Indian army in Indian-administered Kashmir, has been declared free of landmines following the expiration of its lease. 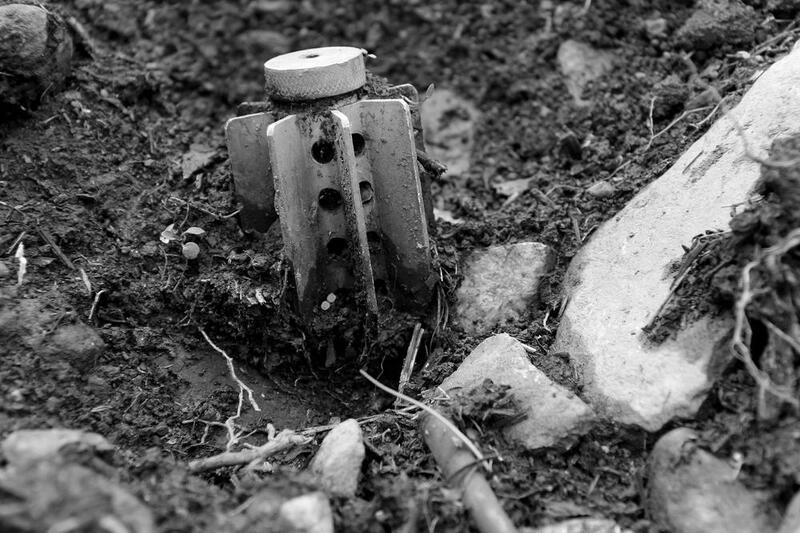 The landmines were responsible for many casualties and permanent injuries while the area was used as a firing range. About 69sq km of Tosa Maidan in the central district of Budgam has been used for the past 50 years by the Indian army and air force for training purposes and heavy artillery drills. 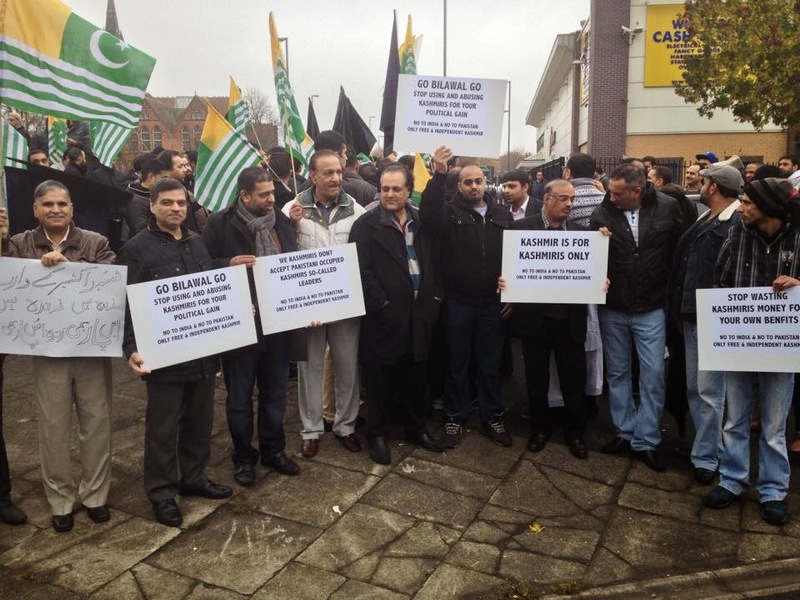 But residents of nearby villages like Lassipora, Drang and Shanglipora have protested against the use of the meadows due to the number of deaths caused by unexploded bombs scattered around. Official figures state that since the lease was granted in 1964, 63 people have died and 150 have been disabled from these littered shells. Locals say that number is much higher, so much so that Tosa Maidan is also called The Meadow of Death by villagers. Last month Omar Abdullah, chief minister of Jammu and Kashmir state, said that this year they would not be renewing the lease for the army and would provide an alternate location for the exercises, even hinting that the area could become a tourist destination. 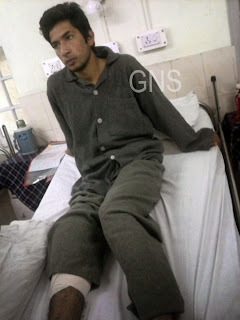 By October 22, after an 83-day operation, the Indian army said it had finished demining the fields. However, the memory of a shell killing seven-year-old Simran Riyaz and blowing off her brother Fayaz Riyaz's limbs in May is still fresh. 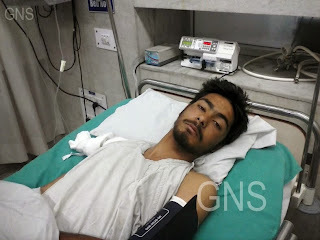 On May 19, Simran and Fayaz were playing outside their house in Lassipora with a bag filled with soil, unaware that there was a littered shell in it. "I checked the bag and it was filled with soil," Riyaz Ahmad Parray, Simran's father, told Al Jazeera. "I insisted that they accompany me to the kitchen garden and play there but they adamantly refused. While I was on my way to garden I heard a big boom." Manzoor Ahmad Parray, Simran's grandfather, who was at home at the time, said: "I was sitting inside the room and suddenly a blast shook our house. There was smoke coming inside through window. On seeing it I rushed outside. 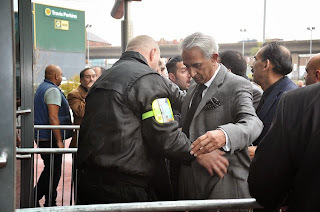 There I found body parts of my granddaughter scattered in a pool of blood. She was dead. Fayaz was screaming with pain." 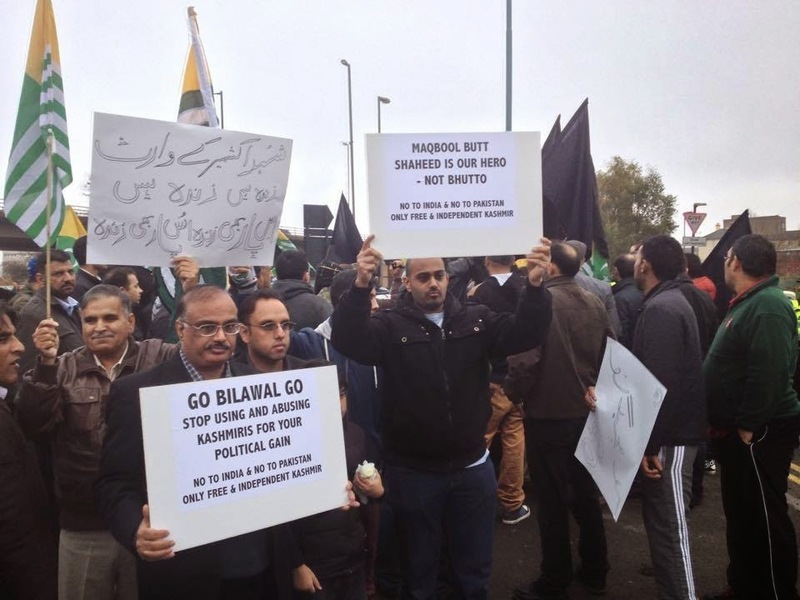 The army said in a recent report that it had provided a compensation of 100,000 Indian rupees ($1,625) to the family of another victim, Bilal Ahmad Parray, who was killed in July. However, other families have said they have yet to receive their compensation or jobs for those who lost their breadwinners to the leftover shells. 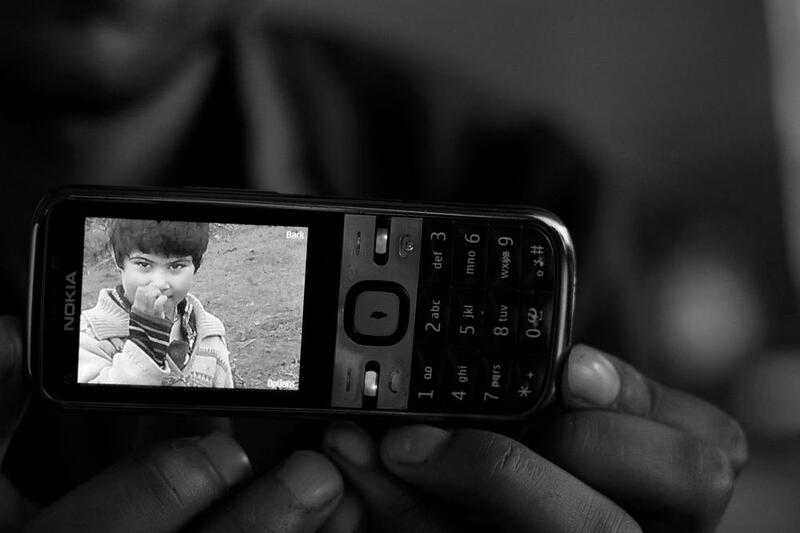 A family member shows a photograph of Simran Riyaz who was killed while playing with littered shell outside her home. Simran's five-year-old brother Fayaz Riyaz, who was playing with her, lost both limbs. 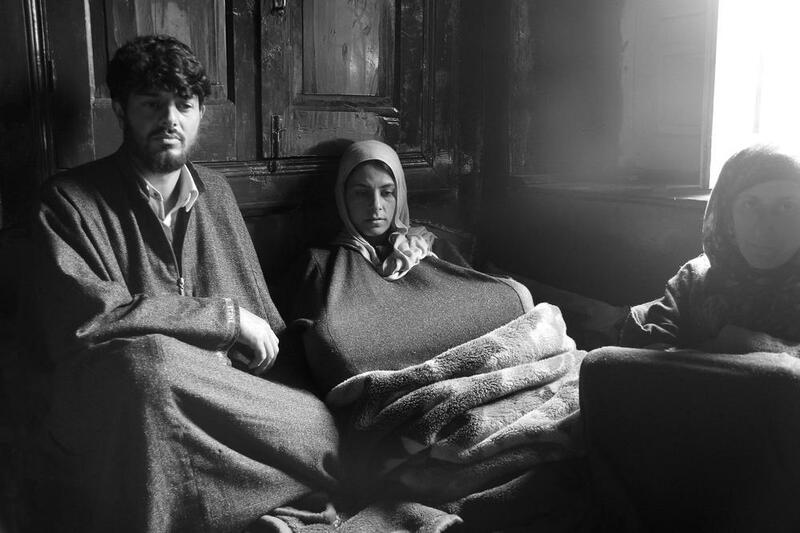 Simran's father Riyaz Ahmad Parray and mother Firdosa Akhter at their house in Lassipora. The village is barely 5km away from Tosa Maidan. The army lease ended in April. Halima, Simran's grandmother, talks about the ordeal her daughter Firdosa and her son-in-law Riyaz went through as she mourns her granddaughter's death. 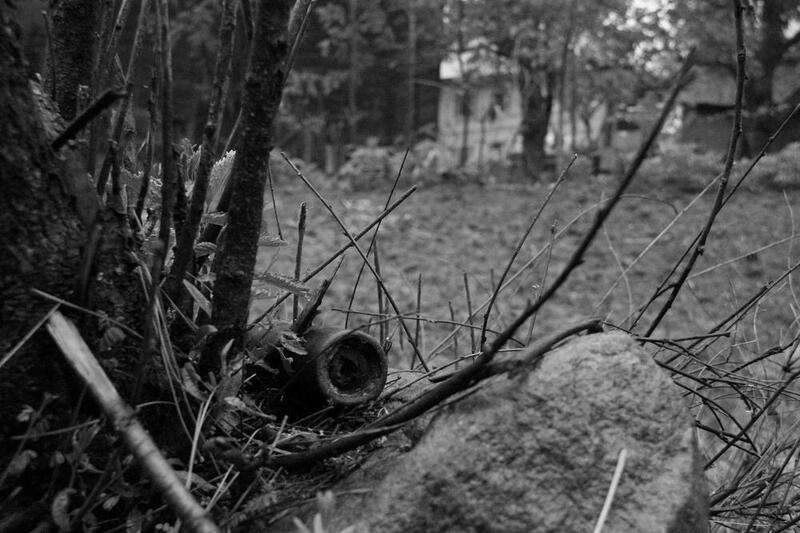 A live shell half-buried in the ground in a residential area of Lassipora. This shell is barely 15m away from the houses of the villagers. Children are often drawn to the peculiar shape of these shells and play with them. Residents of surrounding villages visit the meadow from June to September to graze their cattle and gather vegetables, firewood and medicinal plants to sell. Hajira Banu was widowed last year when her husband stepped on a stray shell which was concealed under a thick layer of grass. 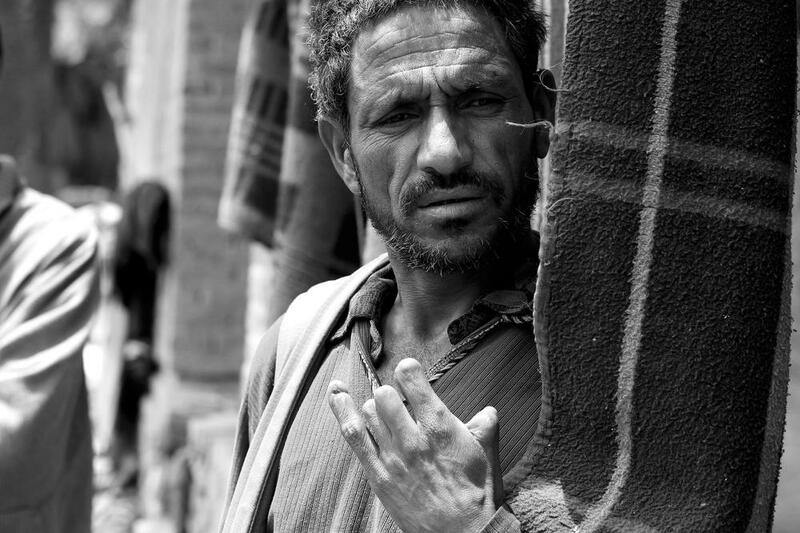 She now lives with her eight-year-old son and 10-year-old daughter in Shinglipora. 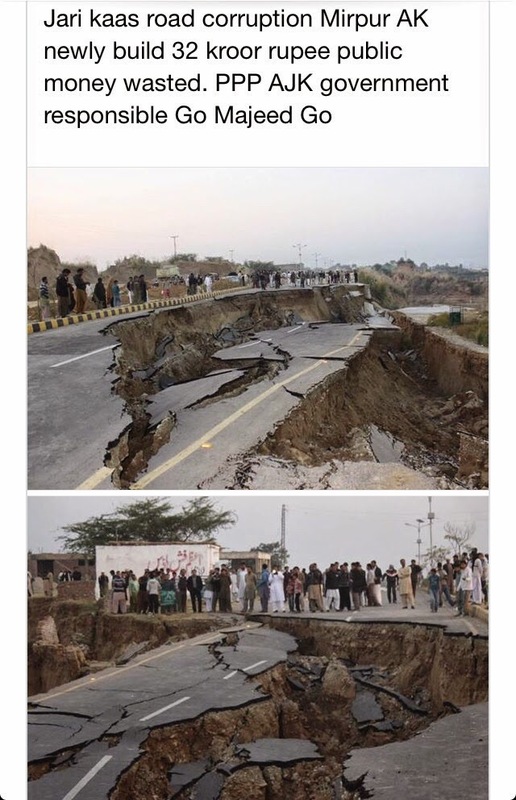 Official figures say around 65 people had died in surrounding villages and more than 150 people have been disabled. But locals say the figures are much higher. A shell found by a woman nearby is kept under the bushes to conceal it from the children. 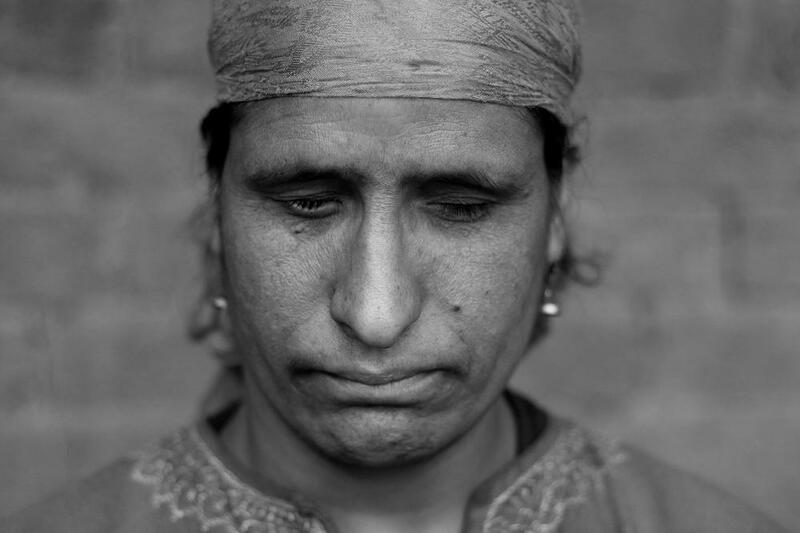 Fatima Banu, 35, lost her eyesight when she was 20 after she came in contact with an unexploded shell. She still lives with her parents as her family has not found any suitors willing to marry her. 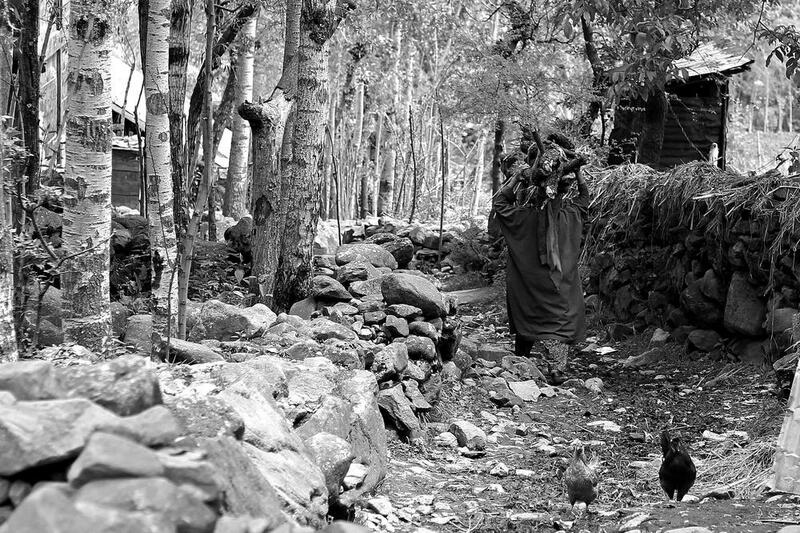 Women living in nearby villages usually go into the forests near Tosa Maidan to fetch wood, which can become a dangerous task if there is a stray shell lying around. For years many villagers have been protesting against the lease of Tosa Maidan to the Indian army. 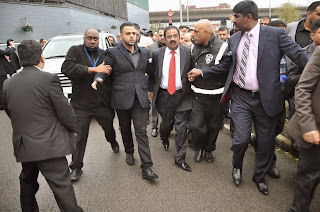 They have demanded the designation of the meadow as a tourist destination, which Omar Abdullah, chief minister of Jammu and Kashmir state, says he will consider. 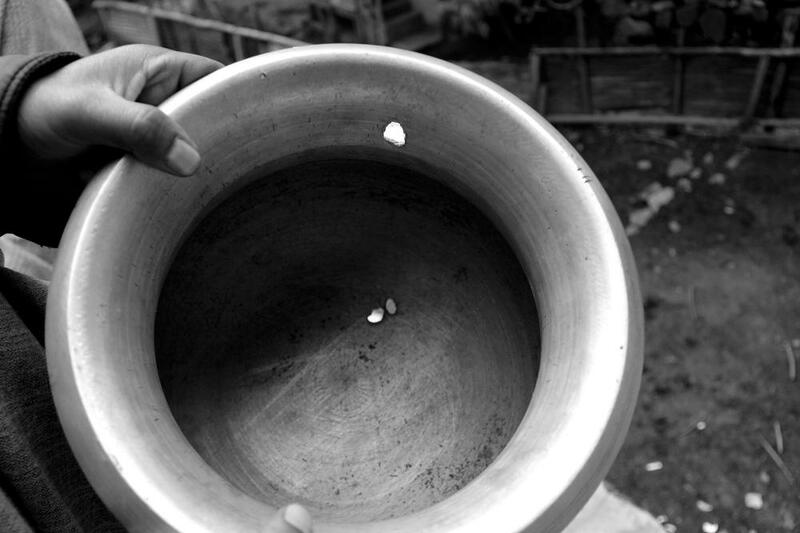 A copper vessel that was pierced by parts of the shell when it exploded and killed Simran. 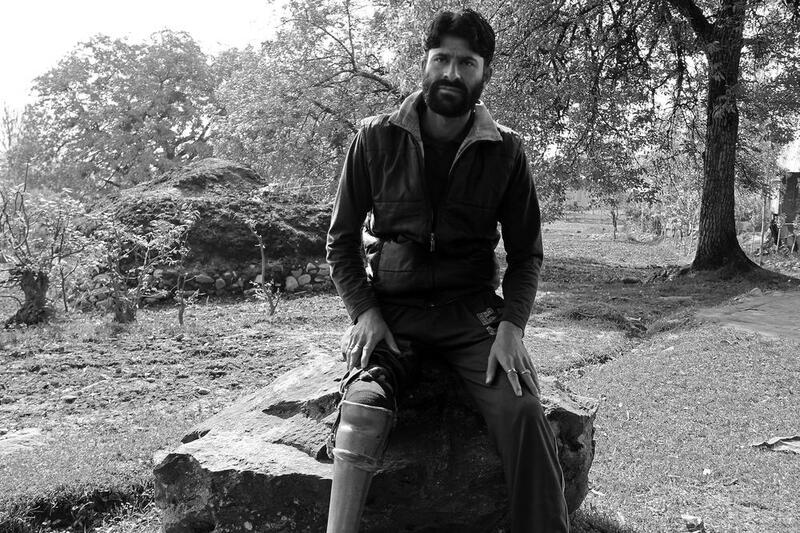 Bilal Ahmad, 27, lost his right leg when a shell exploded in 1997. 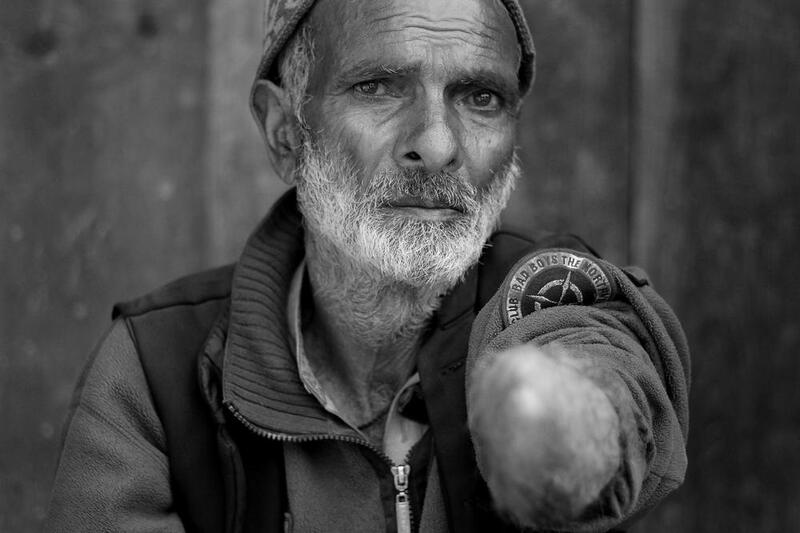 Abdullah Malik lost his right hand in 2011 when he was fetching firewood and his hand touched a shell. He said that countless numbers of sheep, cows and other domestic animals had been killed in Tosa Maidan affecting their livelihood as well. 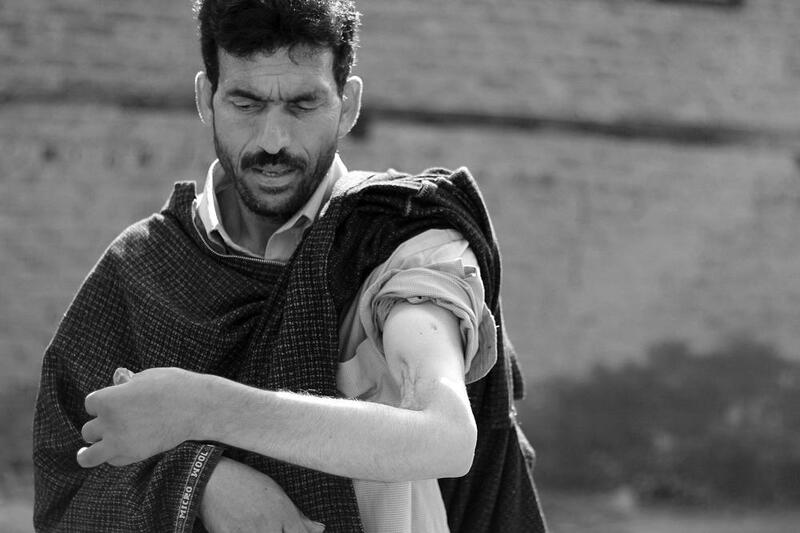 Ghulam Mohidin Malik, 45, shows his left arm, which was damaged by the blast of a stray shell. 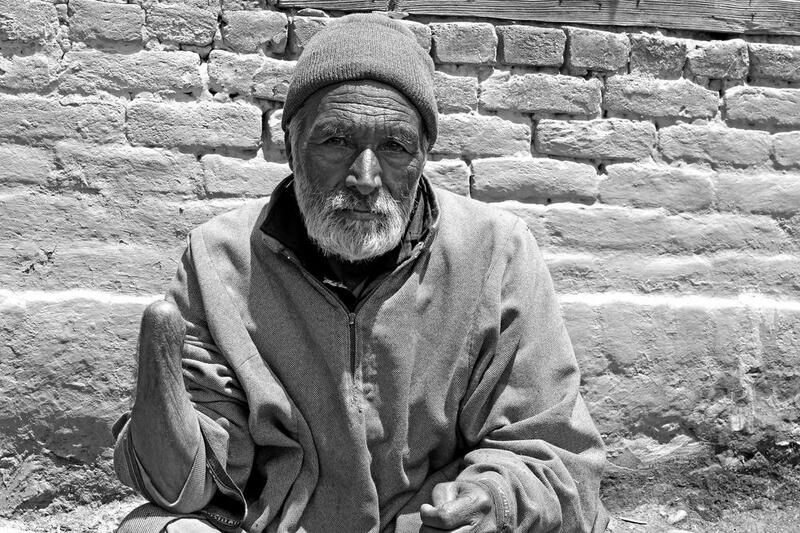 Malik, who used to be a carpenter, is unable to work as he has no control over his left arm. Chattergam firing: Zahid Ayoub and Shakir Ahmad Bhat, the two youths hit by bullets after Indian army opened fire upon a Maruti vehicle on November 3, 2014.